Unlike previous reading lists posted on this blog Bobby’s list isn’t directly related to church ministry. However, I believe this list serves as a great example of how dialogue and inquest lead to transformation. I grew up in north Alabama. My family’s roots come thru Florida and New York though. My family was and is open to many things on a “personal” level regarding race. But I did not know anything. I still do not but I am learning. It was during my ministry in New Orleans that I came face to face with the matter of race as something beyond my imagination to comprehend. This was a rather difficult discovery and one that I resented to be honest. But some folks actually helped open my eyes in a gentle but firm way. This was 1995ish when I was challenged by a fellow by the name of Robert Birt to read Before the Mayflower … it was the beginning of a long journey. Talking about race, I have learned, is an explosive issue for many. It is a subject filled with defensiveness at the mere mention of it. But there is in fact a “history” and that history … like the history of our family of origin … has profound and not so subtle influence on every aspect of our lives in America. As a Christian, I am certain that we have an obligation to move beyond our own personal experience and be God’s leaven in our world. This redemptive MISSIONAL task is not easy. The church has an obligation to deal with this and preachers and elders have one as well. With that in mind I share the following list of books and movies that have helped me move out of my comfort zone. Preachers often avoid the subject like the plague. It is so much easier and safer to preach about something as profoundly relevant as instrumental music (!) … Yes I am being sarcastic but I cannot help myself. Lerone Bennett Jr, Before the Mayflower: A History of Black America (in many editions). Bennett’s book is a classic and it was the beginning point for me. It was the first book I read as noted above. It immediately let me know there is way more to American history than I ever figured. Bennett eloquently chronicles and interprets the African American experience in the USA. His book can help us get a grasp on the proud moments and the valleys of blacks in America. This is a great book to begin your own journey of thinking and learning. Edward J. Blume & Paul Harvey, The Color Christ: The Son of God and the Saga of Race in America. What color was Jesus? It has mattered to many people through the years. And how we have conceived him has impacted Christian practice and social ethics. We travel from slave huts to Hollywood in this excellent and compelling book. Jesus has been hijacked for many an agenda in the racial sage of America. Taylor Branch, Parting the Waters: America in the King Years, 1954-63; Pillar of Fire: America in the King Years, 1963-65; At Canaan’s Edge: America in the King Years, 1965-68. These three volumes by Branch are the most extensive material on the struggles that wracked America in that long decade or so from Rosa Parks to the death of Martin Luther King Jr. How American changed in those years! My own question was after reading these breathtaking volumes was … Lord have mercy on your church and so how can we move forward. These are great books. They are not small but they are easy to read. Branch is a great writer. Branch won Pulitzers for his work. James Cone, Black Theology & Black Power. This was my introduction to Cone. Cone makes me squirm. He is in your face and he rubbed me raw I confess. I cannot tell you how many times I threw that book down. He made me mad and I think he wanted to! However I am glad I read it and I am better for it. He helped me understand something of anger and that I should be angry about how some things have been and remain. Do we use the Gospel and religion as a cloak to hide our complicity in racism? Tony Evans, Getting to Know One Another. It is always good to see an Evangelical write about the subject of racial reconciliation. Evans has great respect for the Bible and he walks a fine line of not trying to radically offend white folks he is writing too. This is a good books to give to the highly sensitive but he will actually convict us if we let him. The Bible is not silent on this matter. Tom Dent, Southern Journey: A Return to the Civil Rights Movement. This is probably one of the better introductions to this turbulent period for a White Italian Alabama boy. It was a good read. It is filled with human interest stories. Reading this book originally in 1998 I recall saying to myself, “ive been there! and I didn’t know that!” This along with Bennett is a good “entre” into the waters. Frederick Douglass, Narrative of the Life of Frederick Douglass. I have long championed the agenda of recognizing FD as one of the Founding Fathers of America. This book is small, heroic and disturbing. Some folks have idealized visions of slavery and nothing is worse than perpetuating these images than Gone with the Wind (a book I have come to despise). The defining moment in FD’s life was when he was 19 or 20 he refused to submit to a beating and he fought back. It was his declaration of independence. His fiery passion for liberty and justice fill his narrative. This book should be required reading in high school. Eric Foner, Forever Free: The Story of Emancipation & Reconstruction. Foner is one of the foremost scholars on the Reconstruction period. This lively work draws from newspapers, sermons, corporate advertisements, art, even the circus! It scattered among it brief “Visual Essays” because seeing a pictures are worth a thousand words and these are worth millions. The story that we share is the tragedy of willfully selling out for the sake of filthy lucre a race of people that brought Reconstruction to an end. And there are PLENTY of MYTHS about reconstruction that need to be burst. Great book. Fred D. Gray, Bus Ride to Justice: Autobiography of Fred Gray. I first read Gray’s book in the late 1990s and a revised edition has since come out. Gray is the quite “giant slayer” of the Civil Rights Movement. Born and raised in Jim Crow Montgomery, he pursued a silent promise to “destroy all things segregated!” He defended Rosa Parks, orchestrated the Bus Protest of 1956, was MLK Jr’s attorney, he desegregated Alabama’s schools, the 1965 Selma march, the landmark Gomillion v. Lightfoot Supreme Court case and the Tuskegee Syphilis Study attorney. Gray is a testimony of a man’s CHRISTIAN commitment to the Gospel of reconciliation and how one poor man defeated the system. He is deeply committed to Christian education and a preacher of the Gospel. He was one of Marshall Keeble’s “boys” … and preacher for the Tuskegee Church of Christ. Malcolm X (with Alex Haley), The Autobiography of Malcolm X. Reading Malcolm reminded me – yet again – how different some people’s experiences have been from mine. What I got out of Malcolm is not only a sense of the deep seated nearly subliminal anger that exists in many quarters of the USA. Malcolm helps me understand “why this is so.” The second thing I get from Malcolm is how dangerous racism, and the inevitable injustice that comes with it, is to Christian faith and its witness. Racism leads folks to declare Christianity a white man’s religion and this is why Malcolm embraces Islam. Must read book. Deirdre Mullane, editor, Crossing the Danger Water: Three Hundred Years of African-American Writing. This is an outstanding resource that I came across in the late 1990s. It contains selections from slaves and freedman. It has speeches by Frederick Douglass and Sojourner Truth, W.E.B. DuBois. It contains government documents that will shock you. It has poetry and prose. Truly a wide ranging and good resource. Harriet Beecher Stowe, Uncle Tom’s Cabin. I recall hearing the derogatory term “Uncle Tom” thrown around growing up. I had no understanding of what it meant though. I have read UTC at least three times since 1995 and each time it has been a different book. I was stunned first of all how compelling the work actually is. I learned the book is about far more than Uncle Tom and I learned that Uncle Tom is radically different than the stereotype I had encountered. Tom is actually a powerful character in the book and far from a weakling. But there are slaves that would choose death willingly over slavery in the book. There is discussion of biblical interpretation in the book. It is no small wonder the book was burned on the campus of the University of Virgina when it was published and that it was banned in all the states that would become part of the Confederacy. This is the book that saved the dying abolitionist movement and it was the most widely read book in America (after the Bible) in the 19th century. It has a much going for it being the quintessential American novel as Tom Sawyer. You should read it. Richard Wright, The Ethics of Living Jim Crow. This small book was actually published earlier than Native Son but I did not read it until 2000. I was interested in Wright because I was living in Mississippi and the work is set in MS. It is an introduction to a world that I, as a white boy, was totally clueless to. Reading this helps me see that there really have been two Americas … if not more. Read this book if you dare. This list does not even attempt to be comprehensive of either books or films. Rather these are materials that since the mid 1990s have had an impact on me. They have made me more sensitive to things than before. They have changed my preaching and hopefully my living. Part of learning to love is learning about your neighbor. I am not nearly as defensive as I used to be on this matter … now I just pray and pray for God’s new creation to be a reality in his church. 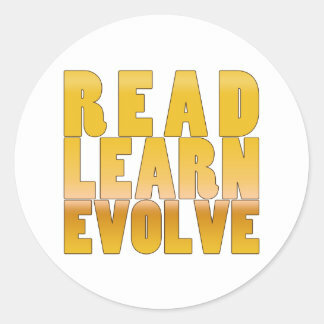 Do you have some suggested reading that you’ve found helpful as you navigate different cultures that you can add to this list? Lawrence W. Rodgers is a Christ-follower, husband, father, friend, servant, minister, and blog author. His blog is SeekingFirst.org, were he writes about practical theology, faith, family living, Christian living, and other relevant matters from a Biblical perspective. Lawrence is a full time minister, and is dedicated to seeking first the Kingdom of God in all areas of life. I appreciate him sharing this blog post with Cultural Mosaic readers. No other task I have ever attempted to take on in my ministry has been as taxing as the task of encouraging homogenous congregations to grow into heterogeneous congregations. No other cause I have ever endured has produced as much pain as encouraging multiethnic, multiracial, or multicultural diversity in congregations. I have never had my efforts called into question more for any other endeavor as this one. In my efforts, I was once asked the disparaging question if I had an agenda, I sternly replied “No!” But, I have rethought my answer, and the answer is yes! I do have an agenda, and that is the Jesus agenda, and within in it is the call to help the church to grow into the prayer Jesus prayed in John 17, or to help in Jesus decree for it to be on Earth as it is in Heaven. Heaven, according to Revelation 5:9, will be the most diverse place any of us have ever experienced, and we should all work towards it being on Earth as it is in Heaven. This calling has not been an easy one. However, it is a needed one. In this article, I will share eight great quotes on congregational diversity from eight great books I have read. These books have helped me to find encouragement along this road, and I hope they will encourage you as well. Maybe, these quotes can challenge others, and help use rethink congregational diversity, and the importance of it. “The work of cross-cultural ministry is a difficult one. If the task of building a multiethnic church were an easy one, then every church in America could be experiencing the joys of successful multicultural ministry. Instead, most will recognize that planting, developing, and nurturing a multiethnic and multicultural church is extraordinarily hard work. In fact, if you are finding multicultural church ministry to be easy work, I would wonder if you are engaging in a multiethnic church but within a monocultural context. In other words, your congregants are adapting to one set of preferences, and they are not expressing the fullness of their own culture but instead acquiescing to the dominant culture. That type of church can be exciting and dynamic, but it would not require cultural intelligence. In fact, it would call for cultural oblivion. “How can the concept of multiculturalism be applied to the church scene? Simply having persons from different ethnic, racial, or national groups does not necessarily make a multicultural church. This mixture of ethnic, racial, and national peoples might make up a multiracial church. The degree to which a church might be multicultural depends on the presence of certain clues or signs. These signs are not absolute but relative. The signs might include leadership that represents the various ethnic/racial groups. Another visible sign would be the worship style. Does the worship style represent the methods and means of each of the groups within the congregation? The evidence of multiculturalism would be when the music, the preaching style, and the worship format might not be recognized as being easily connected to only one cultural expression. “THIS NEXT GREAT VERTICAL AND HORIZONTAL righteousness and justice movement will not be a white, black, or brown movement, but rather a kingdom culture, multiethnic movement. “Why is it that only 5.5 percent of American evangelical churches could be considered multiethnic (where no single ethnicity makes up more than 80 percent of its congregants)?1 Why is that? Five and a half percent! And we’re supposed to be living in the melting pot, the place where hundreds of languages and colors often live within a few miles—or feet—of each other. What’s so sad about this is that many people outside the church are far less racially divided. Consider the military, our places of work, or athletics. Yet there are three places where racial division still persists: bars, prisons, and the American evangelical church. Soong-Chan Rah, Many Colors: Cultural Intelligence for a Changing Church (Chicago, IL: Moody Publishers, 2010). John Mark Terry, Ebbie C. Smith, and Justice Anderson, Missiology: An Introduction to the Foundations, History, and Strategies of World Missions (Nashville, TN: Broadman & Holman Publishers, 1998), 578. David T. Olson, The American Church in Crisis: Groundbreaking Research Based on a National Database of over 200,000 Churches (Grand Rapids, MI: Zondervan, 2009). 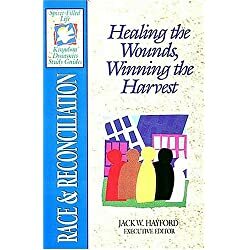 Jack W. Hayford, Greg Howse, and Michael Posey, Race and Reconciliation: Healing the Wounds, Winning the Harvest, Spirit-FilledLifeKingdom Dynamics Study Guides (Nashville, TN: Thomas Nelson, 1996). 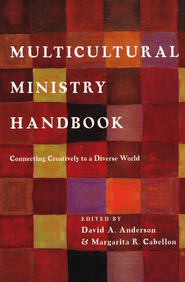 David A. Anderson, Multicultural Ministry: Finding Your Church’s Unique Rhythm (Grand Rapids, MI: Zondervan, 2009). Samuel Rodriguez, The Lamb’s Agenda: Why Jesus Is Calling You to a Life of Righteousness and Justice (Nashville: Thomas Nelson, 2013). Francis Chan and Preston Sprinkle, Erasing Hell: What God Said About Eternity, and the Things We’ve Made Up (Colorado Springs, CO: David C Cook, 2011). 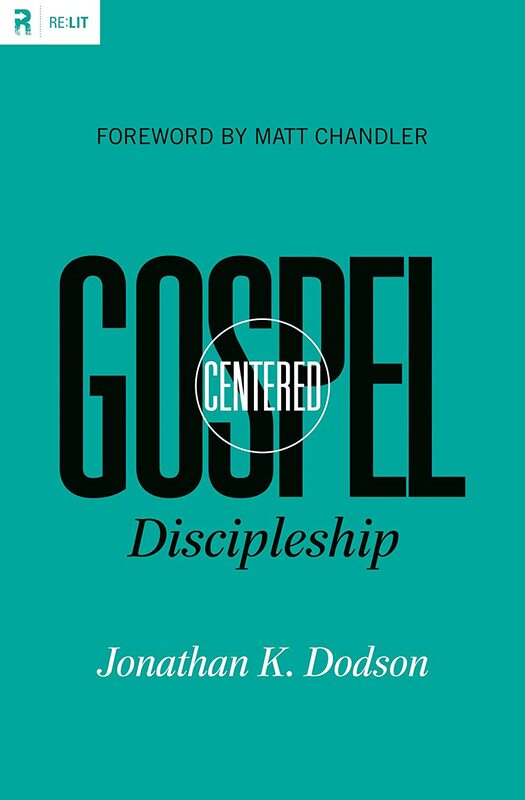 Jonathan K. Dodson, Gospel-centered Discipleship (Wheaton, IL: Crossway, 2012).